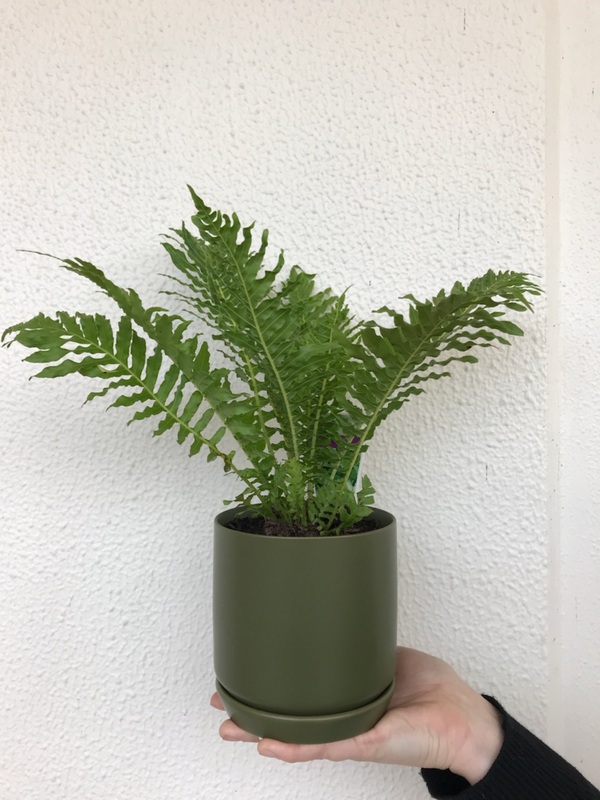 A hardy fern – blechnum gibbum potted beautifully into a avocado green planter. This fern likes a shady spot in the garden, near a window indoors or on a patio. Likes frequent waterings but very easy to to care for. It has many separate fronds with a slightly drooping style. Also known as The Silver Lady Fern.